Sometimes hanging with your family can be stressful. 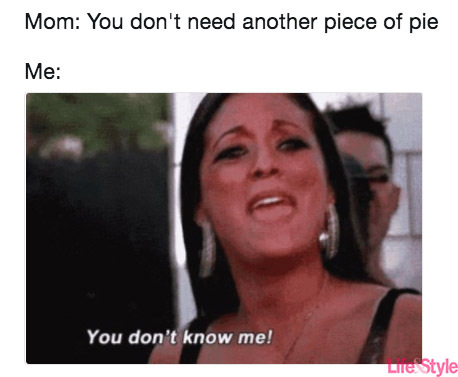 That's why we've compiled some of our favorite Thanksgiving clapback memes to help you get through your holiday season! 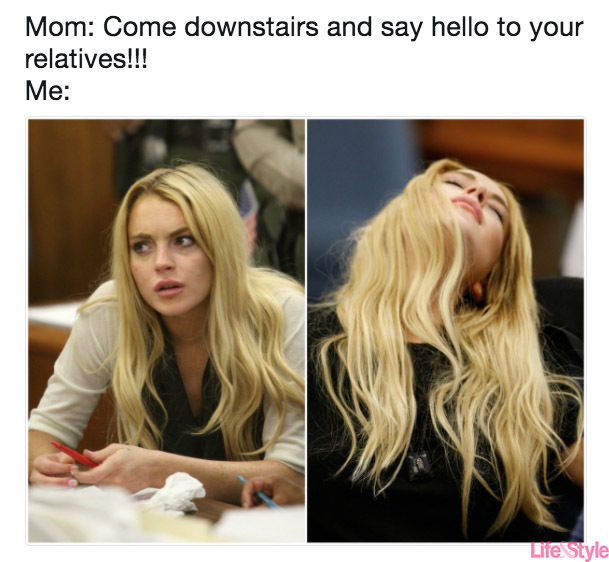 Whether you need to a meme with the perfect tea-sipping or a meme with some subtle side-eye, we've got you covered for all holiday situations! Whether you're hosting an elaborate dinner at your own place or driving five hours to your in-laws or avoiding celebration altogether, do yourself a favor and put some humor in your life. Feeling stressed out because your family keeps asking why you aren't married yet? Look at memes. Hiding out in the bathroom to avoid the political debate at the dinner table? Look at memes. Sneaking away with the one cousin you actually get along with? Look at memes. Look at memes. Get yourself more yams, stuffing, and turkey, change into your "fat" sweats and share these memes with your whole fam! Keep scrolling for some of our favorite Thanksgiving clapback memes — it's what the pilgrims would've wanted! For when you love your family…but still want to be left alone. For when you need to remind your mother that Thanksgiving is meant for overeating. For when your mom thinks she can play you. For when your family bullies you more than anyone else in your life. For when you're trying to convince your S.O. that you're really not THAT drunk. For when you just want everyone to get along. For when you need to silently judge your family. For when that aunt brings out the pettiness in you. For when you can't disrespect your elders so you just gotta hit them with a subtle eye roll. For when your dad's jokes actually slay. For when your family won't just let you live. For when your family has one too many opinions. For when even your grandma is trying to test you. For when you've reached peak food coma status. For when your mom is nice for once. For when that aunt won't stop questioning your decisions. For when you just need to embrace your food baby. For when you just wanna eat. For when you realize you've lost all the work you put in to get your summer bod. For when you finally realize what you're thankful for.